A reader felt Jimmy Rollins is also being snubbed in the All-Star voting. J-Roll, this week, was in third place among the shortstops, which may have the greatest depth of any position. There’s the “4 R Club” (Rollins, Reyes, Ramirez, Renteria) and JJ Hardy. All are having solid years. But, Phillies fans can get behind Jimmy. Easiest way is online: www.mlb.com/mlb/events/all_star/y2007/ballot_reg.jsp. He also deserves a Gold Glove. Granted, he had errors in each of his last two games, but that hasn’t happened since June 18-19 two seasons ago. He is so consistent defensively, the most steady shortstop I’ve seen in Philly since Larry Bowa. Today is a day off but many of the players are joining Jimmy Rollins in his annual BaseBOWL Tournament this evening. The event is sold out and benefits the Arthritis Foundation of Eastern Pennsylvania. Recording artists Ebon Adams, Marcel Johnson, Lovett Williams and Sergio Wright are joining the bowling event. Barry Bonds and the Giants begin a four-game series at Citizens Bank Park tomorrow night. More about Bonds vs. the Phillies tomorrow. SF will be starting two lefties, Noah Lowry on Saturday and Barry Zito on Monday afternoon. Phillies, in getting swept by Arizona, lost two games to lefties, dropping their season mark to 5-14. Got to turn things around against these southpaws. James Earl Jones, Verizon Band Ambassador and award-winning actor, will participate in a special pre-game reading of “Casey at the Bat” tomorrow night. Ceremonial first ball tomorrow is legendary rock and roll mastermind, Roger Waters, co-founder of Pink Floyd. 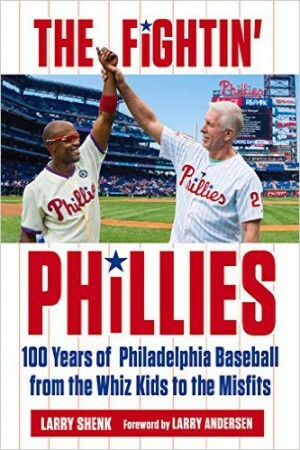 Bob Schaumann of Amherst, NH, is the winner of Tuesday’s trivia question: Who holds the Phillies record for most pinch-hit HR in a season (5, 1959)? Bob had the first correct answer: Gene Freese. A Greg Dobbs autographed baseball is on the way to New England. Bob also won a Cole Hamels ball a couple of weeks ago in answering a trivia question. Rowand, cf; Victorino, rf; Rollins, ss; Utley, 2b; Burrell, lf; Helms, 1b; Nunez, 3b; Ruiz, c; Moyer, c.
Yes, Ryan’s not in the lineup tonight. No, he’s not hurt. He’s played every day since coming off the DL last Friday and Charlie Manuel wanted to give him a break. With a tough lefty tonight, Charlie felt this was the right time. Temperature in Phoenix is supposed to hit 101 today. The Diamondbacks are as hot as the desert heat. Over their last 12 games (nine wins), they are hitting .313 as a team and averaging 6.42 runs per game. That’s scorching. They are 4-1 against the Phillies this season. Tonight features Jamie Moyer, 44 years, 193 days, against Randy Johnson, 43 years, 262 days. The two met in Phoenix 21 days ago and Moyer won, 9-3. I don’t know about anybody else, but I was shocked in seeing the first update of NL All-Star voting yesterday. Ryan Howard, the reigning MVP, is not among the top five vote getters at first base! Normally, an MVP season carries well into the following year when it comes to voting. At least that is the pattern that has existed in the past. Granted, Ryan has missed time because of his left quad injury, but his numbers are still in the mix. Prince Fielder leads all NL first basemen in homers (17) and RBI (40). Ryan is second in homers (9) and tied with Derrek Lee and Nomar Garciaparra (30) in RBI. Carlos Delgado, hitting .239, has 7 HR and 32 RBI and has more votes. The bottom line: get out and vote. Ballots are distributed and collected at all Citizens Bank Park home games through June 17. But, the easy way is online www.mlb.com/mlb/events/all_star/y2007/ballot_reg.jsp. Marti Wolever (Director, Scouting) began meetings today in the Draft Room at Citizens Bank Park in preparation for the First-Year Player Draft that will take place next Thursday and Friday. Joining Marti are Mike Ledna (National Supervisor), Jim Fregosi Jr. (National Supervisor), Bill Moore (West Supervisor), Brian Kohlscheen (Central Supervisor), John Castleberry (East Supervisor), GM Pat Gillick, Sr. Advisor Dallas Green and assistant GMs Ruben Amaro Jr. and Mike Arbuckle. During the first five rounds, the Phillies select 19th, 37th, 84th, 108th, 144th and 174th selections. The 37th selection is compensation for Cleveland’s signing of David Dellucci. For the first time, the opening round will be televised live by ESPN2 out of Orlando. Draft begins at 2 p.m. next Thursday (June 7). Representing the Phillies in Atlanta will be Dallas Green, Hall of Famer Robin Roberts, Lee McDaniel (Assistant Director Minor League Operations/Florida) and yours truly for blogging purposes. (No, you won’t be getting a Mickey Mouse blog). Rollins, ss; Victorino, rf; Utley, 2b; Howard, 1b; Burrell, lf; Dobbs, 3b; Rowand, cf; Ruiz, c; Lieber, p.
The Phillies entered last night’s game leading the league in runs scored. Since 2004, they have averaged 5.17 runs per game, unmatched by any big league team. Doug Davis, a lefty, was facing them for the second time this month. In Phoenix 21 days ago, he allowed two runs in six innings. After that, he gave up 13 runs and 11 walks in three losses. Opponents were hitting .293 against him. Last night, he gave up just one run in eight innings and didn’t walk a batter for the first time this season. What’s so predictable about baseball is that is unpredictable. Over 11,600 tickets were sold from 9 a.m. yesterday until well in the game, pushing the total to 41,985, largest NL crowd for Memorial Day. Once again, a tip of the hat to the Phillies promotion department. $1 Dogs on a holiday. Greg Dobbs was claimed on waivers by the Phillies from the Mariners in January. The 28-year-old came with a .307 minor league average and a .257 mark for 100 big league games. As a pinch hitter in the bigs, Dobbs brought a .283 average, one home run and 10 RBI. His three-run pinch-homer in the last of the ninth erased a 5-1 deficit, setting the stage for a late comeback that came up short. This team doesn’t quit. The three RBI boosted his total to nine as a pinch hitter. He’s hitting .318 coming off the bench. His homer also marked the 300th pinch-hit home run in Phillies history. If you are wondering, 167 different players have produced that total. Dobbs’ versatility and hot bat provide Charlie Manuel with plenty of options. While Ryan Howard was on the disabled list, Dobbs hit .414 playing first base. Who holds the Phillies record for most pinch-hit home runs in a season? Hint, the number is five and it happened 48 years ago. First person to post the correct response wins a Greg Dobbs autographed baseball. Rollins, ss; Victorino, rf; Utley, 2b; Howard, 1b; Rowand, cf; Werth, lf; Nunez, 3b; Ruiz, c; Garcia, p.
The Phillies are 5-12 against left-handed starters, including 1-4 at Citizens Bank Park. Their last win over a lefty starter was May 11, the Cubs’ Rich Hill, at home. Two southpaws have beaten them since, Ted Lilly (Cubs) and Scott Olsen (Marlins). A year ago, the Phillies were 23-22 vs. LHP. The Phillies haven’t been shut out and they haven’t tossed a shutout. Since Citizens Bank Park opened, the Phillies are 1-1 on Memorial Day, winning 11-6 over Washington last year. They lost in 2004, 5-3, to the Mets. The Diamondbacks are 4-4 in their history on this date. "Philadelphia City Council in 1970 chose Veterans Stadium as the name for the city’s new sports facility. Veterans Stadium opened April 10, 1971, was closed September 28, 2003 and imploded March 21, 2004. To commemorate the site of Veterans Stadium, the Phillies dedicate this monument as an everlasting memorial to veterans who have defended America’s freedom since its inception in Philadelphia, July 4, 1776." That message is displayed on the Veterans Memorial the Phillies built near the former site of Veterans Stadium. When it was decided the Vet would be replaced, the Phillies made a commitment to City Council and veterans organizations to build a monument commemorating the dedication and sacrifice of veterans, including prisoners of war or missing in action. The memorial includes bronze plaques representing the Army, Marine Corps, Navy, Air Force, Coast Guard and POW/MIA. Surrounding the memorial are seven poles that display the American, Army, Marine Corps, Navy, Air Force, Coast Guard and POW/MIA flags. The flags fly year-round. The granite-covered memorial is prominently located on Pattison Avenue and visible daily to people attending all events at the Sports Complex, not just Phillies games. The Phillies, city officials, veterans and active military personnel participated in the dedication on June 6, 2005. Having swept the Braves in Atlanta for the first time since 1995, the Phillies return home for seven games, starting with a Memorial Day 7:05 evening game tomorrow. The 1995 broom was a four-game series. Last three-game sweep in Atlanta was way back in 1986. Since starting the season 4-11, the Phillies are 21-13. Hatfield Phillies Franks Dollar Dog Night is on tap tomorrow, a fitting end to the holiday weekend. Left-handed starters have given the Phillies trouble and they face two in the next three games against the Diamondbacks, Doug Davis tomorrow and Randy Johnson on Wednesday night. Cole Hamels improved his May record to 5-1. He started with a 6-4 win in Atlanta on May 1 and won today in his final start of the month. During the month, Hamels has recorded 49 strikeouts. Hamels joined Jobn Smoltz atop the NL with seven wins each. Ryan Howard was reinstated from the DL on Friday and made his presence felt, a double, two homers and six RBI . . . Shave Victorino was 8-15 in the series . . . Jayson Werth drove in five runs on four hits on the 4-2 trip . . . Jimmy Rollins sat out the last couple of innings today, ending a streak of having played every inning of the first 50 games . . . Phils have won eight of their last 11 home games. He wore a red jersey, number 6, with the name R Howard on the back. Over 8,000 fans showed up for an 11 o-clock game this morning at FirstEnergy Park, the first of a two-game rehab assignment with the Lakewood BlueClays for reigning MVP Ryan Howard. Five years ago Howard played for Lakewood during his journey to the majors. He hit .280 with 19 home runs 87 RBI and a career-high six triples. It was his second year in pro ball. In returning to Lakewood, Howard needed an R on his uniform as there is a second Howard on the club, Kevin, who also plays first base. Ryan gave everyone their money’s worth. He walked, lined an RBI double to right center, struck out and then drilled a three-run, game-winning home run in the seventh with runners on first and third. He received a standing ovation from the crowd. He was greeted in the dugout to a standing high five by his temporary teammates. After the game, he treated his teammates to a BBQ ribs dinner, not the normal post-game spread for a Class A team. But, before they could munch, the players had some homework to do. Coach Kevin Jordan has each player update a daily diary immediately after each game, something he did during his big league career. Who they faced, what kind of pitch did they hit for a base hit, how did the pitcher get him out, was there any difference from the last time they faced that pitcher, etc. “It was a big help in my career so we started doing it here,” said Jordan, a first-year coach under manager Steve Roadcap. Something else that was new to the players, multiple post-game interviews. Normally, Brendan Burke, the Claws’ broadcaster/PR person, issues three media credentials for a home game. Today it was 39, including five TV stations from Philadelphia. NBC3 even sent a helicopter to catch an aerial view of Ryan’s return to Lakewood. Ryan was the designated hitter. Tomorrow night he’ll play first base in a BlueClaws pinstriped uniform jersey. If everything is fine, he will board a plane for Atlanta on Friday morning and be activated in time for the game that night against the Braves. The 11 o’clock game was a school day promotion. Nearly 7,000 of the crowd were kids. The parking lot looked like a yellow bus convention. More fans are expected for the 6:35 p.m. game tomorrow. Pitchers Cole Hamels, Randy Wolf, Tim Worrell and Wayne Gomes have all served rehab assignments at Lakewood. None stirred up the interest like Howard. John Brazer, the Fun ‘N Games blogger on this site, was also there. Check out his blog for a different persepective. When the team is on the road, a bus is available to take players from the hotel to the ballpark. Most of the time, the players get to the park on their own much earlier than the bus, which is listed as 5:00 p.m. on today’s itinerary. While his teammates were heading for Dolphin Stadium in Miami, FL, early this afternoon, Ryan Howard worked out at FirstEnergy Park in Lakewood, NJ. He’ll play (designated hitter) a two-game, minor league rehab assignment there tomorrow (11 a.m.) and Thursday (6:35 p.m.). Both games are against the Hagerstown Suns, managed by ex-Phil Tom Herr. Howard is eligible to come off the disabled list on Friday in Atlanta. Howard did some running and stretching under the watchful eye of Jeff Cooper, a consultant on the Phillies Medical Staff. He took some live batting practice off Ben Pfinsgraff, went through some fielding drills, ran the bases, took treatment from Cooper and iced his left quad. With the series against the Marlins starting tonight (7:05), the Phillies will face Scott Olsen (3-3), who owns one win against them this year. For his career, Olsen is 2-4 vs. the Phils. Overall, the Phillies are only 5-10 against lefthanded pitchers, having lost their last start against a southpaw, 4-1 to the Cubs’ Ted Lilly on May 13. Lefty Cole Hamels, on a four-game winning streak, gets the nod tonight against Olsen. Hamels’ 70 strikeouts are second in the league to San Diego’s Jake Peavy (71). Win yesterday boosted the Phillies Sunday record since Citizens Bank Park opened to 35-10. No wonder Sunday season ticket customers have smiles on their faces. RHP Adam Eaton turned in his third consecutive quality start, the 11th in the lasts 14 games for the starting rotation. Brett Myers has a 0.90 since moving to the bullpen. In 20 innings as a reliever, he has struck out 30. The Phillies are 14-1 in his last 15 appearances. Brett topped out at 97 mph in recording his sixth save yesterday. He struck out two of the four hitters he faced. “I stuck with my fastball. I was going to keep throwing it until they hit it. I said ‘(They) are going to have to hit my best stuff,’ and fortunately, I had a good fastball,” he was quoted in Scott Lauber’s story this a.m. in the Wilmington News-Journal. Phillies completed a 7-3 homestand, averaging 38,309 per game . . . 2,783 total pitches were thrown in the 10 games . 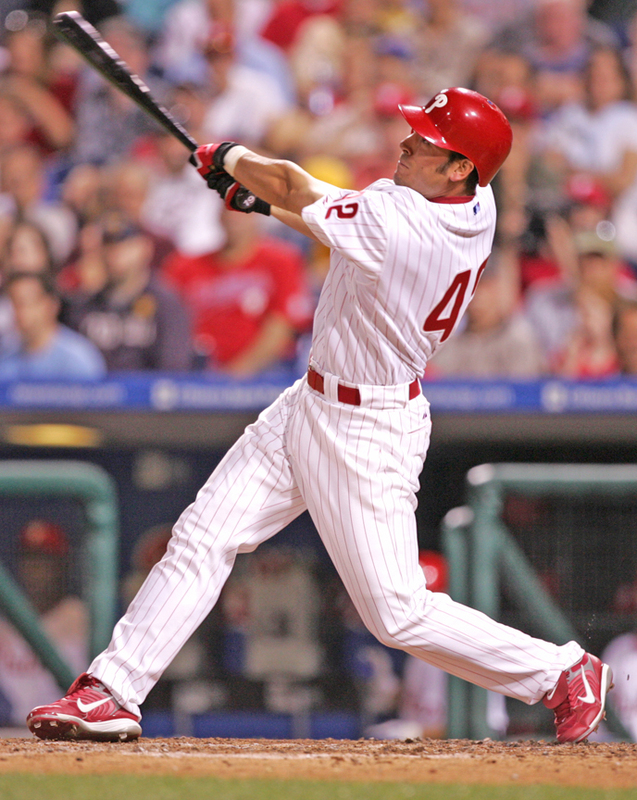 . . Pat Burrell had five homers in 30 at-bats; drove in 11 runs . . . Greg Dobbs hit .414, Abraham Nunez, .353 . . . Cole Hamels won two games, 18 strikeouts in 15 innings . . . Brett Myers had a win and three saves . . . Shane Victorino had three assists . . . Since April 19, the Phillies and Mets have the most wins in the NL, 19 each. The annual Phillies Phestival, which raises funds for ALS (Lou Gehrig’s disease), is on tap tonight. Gates open at 5. It is a total team effort, players and their wives, coaches, Charlie Manuel, broadcasters, ball girls and the front office staff, will all be pitching in to help strike out ALS. Players meet sponsors and ALS patients and then sign autographs for two hours. They board a charter flight around 9 for Miami and a three-game series against the Marlins starting tomorrow night. benefit research at ALS Association Centers at Pennsylvania Hospital and Hershey Medical Center, along with much-needed patient care services. ALS is a devastating neuromuscular condition for which there is no known cause or cure. Mike Boekholder, Head Groundskeeper at Citizens Bank Park, has planted two tomato plants and three green pepper plants beyond the center field fence among the shrubs and ivy. If he’d plant lettuce and start a pig farm, Citizens Bank Park could serve bacon, lettuce and tomato sandwiches. Green peppers on the side, please. Rowand, cf; Victorino, rf; Rollins, ss; Utley, 2b; Burrell, lf; Dobbs, 1b; Nunez, 3b; Barajas, c; Eaton, p.
Last night’s 13-2 blow out was the most runs scored against the Phillies since last July 31 when the Marlins romped 15-2 at Citizens Bank Park. Back at ‘em today. A win would mean two out of three and a 7-3 homestand. Jamie Moyer carried a 13-7 career record against the Blue Jays into the game. The Jays starting eight, however, had a combined .341 average with 10 home runs against him. Jamie’s exit after 3.1 innings marked only the second time since he joined the Phillies that he didn’t pitch six or more innings. It was his 17th start in a Phillies uniform. The biggest buzz of last night was the diamond rock Judy Heredia (Magnolia, NJ) received from Joe Capone when he proposed to her on PhanaVision during the fifth inning. Tearfully Judy nodded yes and then Joe slipped the huge ring onto her left hand. The ring looked to be larger than Joe’s hometown of Holland, PA. The crowd loves engagements at Citizens Bank Park. There’s always a buzz when the wedding song begins to play leading into the video feature. Hank King, the Phillies advance scout, had a rare night at home and spent it at last night’s game. King travels constantly, staying one series ahead of the Phillies. He files written reports to Charlie Manuel and his staff the first game of every series. The Phillies next four opponents are the Marlins (played six games against them last month), Braves (repeat of a series that started this month), Diamondbacks (Phillies were in Phoenix at the end of the last road trip) and Giants (four-game series in SF earlier this month). So King will be heading out to scout the Phillies next four interleague clubs, Royals, White Sox, Tigers and Indians. Speaking of scouts, there were 16 scouts at last night’s game. What do the Phillies players do during rain delays? Check out John Brazer’s Fun ‘N Games blog on the home page of this site. Jim Thome, who will return to Citizens Bank Park with the White Sox on June 11, is currently on rehab with the Charlotte Knights where his manager is Marc Bombard, the Phillies first base coach the last two seasons. Rowand, cf; Victorino, rf; Rollins, ss; Utley, 2b; Burrell, lf; Dobbs, 1b; Nunez, 3b; Ruiz, c; Moyer p.
I believe those were the descriptions when Brett Myers was moved to the bullpen and Jon Lieber back in the rotation. As had been mentioned here before, Myers to the pen was talked about in spring training. Lieber and Freddy Garcia came down with spring training injuries a change couldn’t be made. When they both returned from the DL, the time came. Efforts to add depth to the bullpen kept coming up empty so we decided to fix it from the inside. The Phillies are 18-12 since then, Myers has five saves and Lieber has worked at least six innings in each of his last five starts. The bullpen is still a bit thin but Ryan Madson should be returning next week. It is unknown when Tom Gordon can begin pitching competitively again. Bob Schaumann won the Cole Hamels autographed baseball because he was the first one to respond to Thursday’s trivia question. Omar was second by seconds. So, let’s give a Hamels ball to Omar, too. 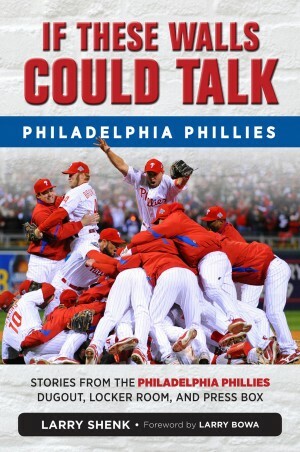 The question was posed in yesterday’s Phillies Insider: Were the 1993 Phillies my favorite team? Favorite team of characters, yes. But, I have to stick with the 1980 Champs. The parade down Broad Street is still the No. 1 thrill, hopefully until this November. The last game of the World Series this year is November 1. Perhaps a victory parade could be part of the Thanksgiving Day parade, a Philly tradition.